« Can the outside world intervene to stop the slaughter in Syria? This entry was posted on February 18, 2012 at 11:39 pm and is filed under Business ethics, Ethics-general, International, Sweatshops. You can follow any responses to this entry through the RSS 2.0 feed. You can leave a response, or trackback from your own site. 1) Apple acknowledges a responsibility for working conditions at its suppliers. Not all outsourcing companies do. 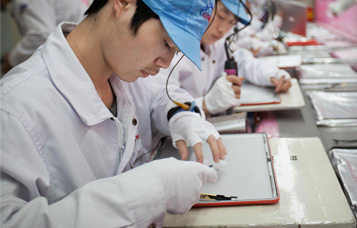 2) Apple has asked a trade association to audit Foxconn. I don’t know how independent of Apple the audit will be.. Jim Keady, who I have great respect for, thinks it’ll be a whitewash. I’m more optimistic.